With CRS in full swing (click here to check out MusicRow’s CountryBreakout Awards yesterday, Feb. 18), overall album sales are up 20 percent from last week, while Country album sales are up 88 percent week over week. 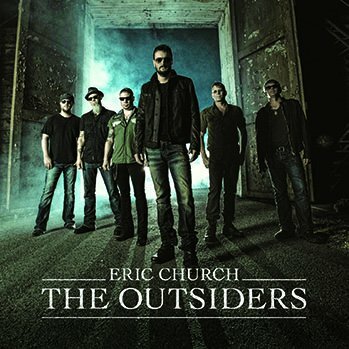 Eric Church’s The Outsiders (EMI Nashville) is this week’s top overall and Country album, selling 288k units. Church’s latest release is his fourth studio album and second No. 1 since 2011’s Chief. Soundscan also reports it’s the biggest-selling week for a Country album since Luke Bryan‘s Crash My Party sold 528k units in August 2013. CRS attendees can check out Church’s performance during CRS today, Feb. 19. Additionally, Frankie Ballard’s Sunshine & Whiskey (Warner Bros.) debuts at No. 5 (No. 35 overall) selling 11k units, and Dylan Scott’s self-titled debut album (Curb) debuts at No. 50, selling 1.2k units. YTD, both overall and Country album sales are down 15.9 percent. Around the same time last year, Mumford and Sons’ Babel was the top overall album, selling 185k units, while Taylor Swift’s RED reigned as the No. 1 Country album, selling 72k units. The top Country track is Brantley Gilbert’s “Bottoms Up” (No. 23 overall), selling 61k units (415k RTD). Meanwhile, both the top and overall Country debut is Miranda Lambert’s “Automatic,” coming in at No. 3 Country (No. 29 overall), with 51k units sold. Pharrell Williams’ “Happy” is the top overall track, selling 329k units this week (1.3 million RTD). 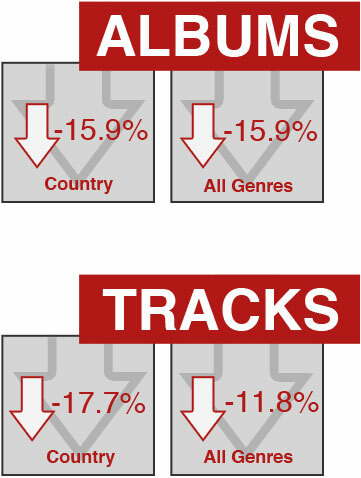 YTD, overall track sales are down 11.8 percent, while Country track sales are down 17.7 percent. Around the same time last year, Macklemore and Ryan Lewis’ “Thrift Shop” was the top overall track, selling 316k units, while Hunter Hayes’ “Wanted” stood as the No. 1 Country track with 85k units sold. Next week’s numbers will include MusicRow inaugural Challenge Coin winner Cole Swindell’s self-titled debut album.